Dr. Abdullah Sayed began his dental education at Columbia University in New York. Following this, he completed a general practice residency at Montefiore Hospital. He obtained a Master’s Degree in Conservative Dentistry (fixed prosthodontics) from the University of London where he worked on some of the most extensive dental restoration cases in the United Kingdom. His love of surgery brought him back to New York where he completed a two-year full-time advanced fellowship in Implantology at Brookdale University Hospital. The Brookdale program is the oldest American implant fellowship, and the pioneering institution in dental implant treatment. 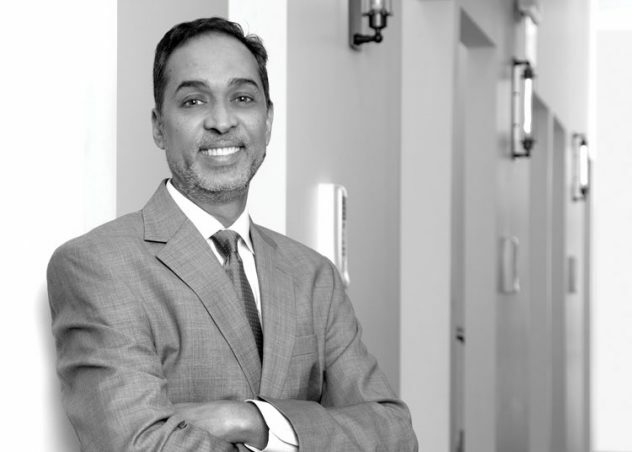 To further diversify his surgical skills, Dr. Sayed earned a specialty certificate in periodontology at the University of Michigan in Ann Arbor, and since then, has limited his practice to periodontics and implantology. In addition to his practice, Dr. Sayed also teaches future periodontists at the University of Michigan School of Dentistry. Dr. Sayed was voted a “Top Dentist” by a group of his peers in Hour Magazine. Only a handful of periodontists have received this honor. Dr. Sayed is also a Diplomate of the American Board of Periodontology and as such, he understands the importance of continually studying the latest advancements in periodontal care. Dr. Sayed has placed almost 5,000 individual implants to date.